Find out the Instagram Like Counter (Smiirl), the first connected object designed for businesses to materialise your digital image! You can draw prospective customers, customers and passersby to your shop. Your shop's popularity on the social media will act as an incentive for people to step inside. This solution aims to enhance your Instagram fanbase and build a group of loyal and interconnected customers. An elegant unit connected directly via Wifi (or Ethernet cable) to your Instagram account, showing the number of likes on your page, is placed strategically in your shop window or inside the shop. Nowadays, the best channel for businesses and organisations to promote their activity is the social media. They are currently thriving and enable companies and brands to expand their on-line coverage in just a few clicks. They also have a double-edged effect in that they are used for mass advertising campaigns that target people who will potentially like the type of product you advertise, and on the other hand, they are an open guest book where all clients can leave a review, sometimes even rate the service or product in question. 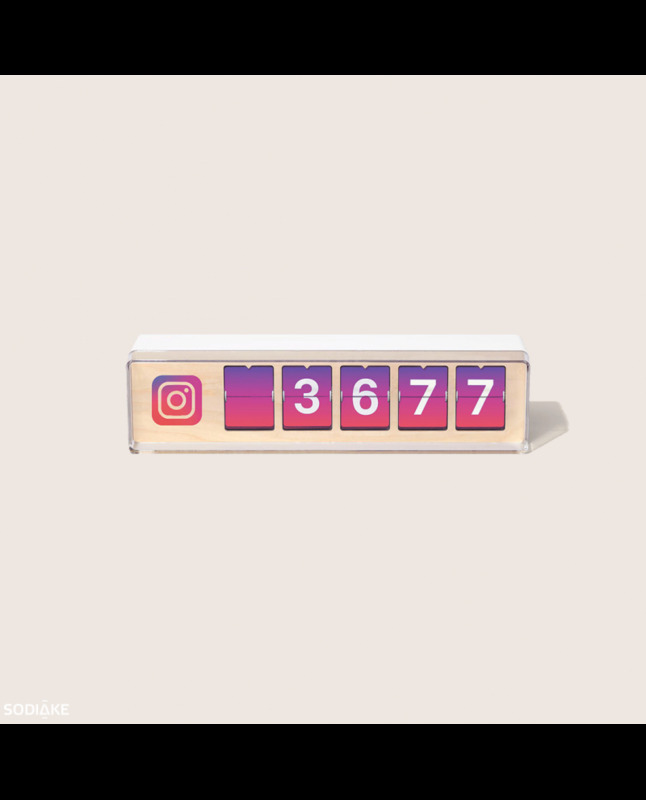 The Instagram like counter (Smiirl) shows you the number of likes on the Instagram page of your business in real time. Are you proficient in social media, have you built a fanbase that is loyal to your products and services? 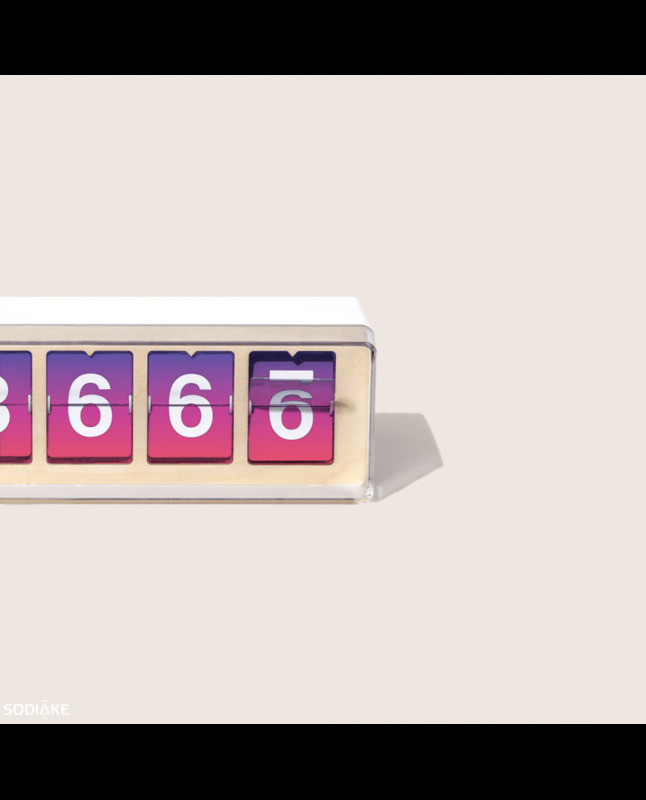 The Smiirl counter acts as a Instagram like counter, showing the result of your hard work to the world. 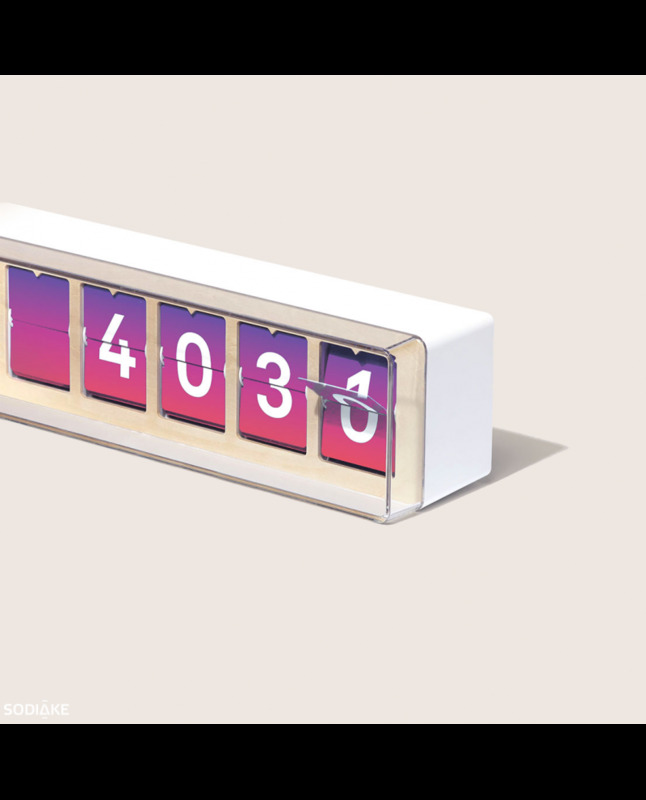 You can set up the Smiirl counter wherever you fancy, at the reception desk, in an office or shop window. It will catch the eye of passersby and make them want to stop and take a closer look at your products and services. It will also boost your employees, giving them an incentive to work harder as they watch the digits spin on the Instagram like counter. You will have a new channel to interact with your customers and will therefore be prompted to generate engagement on Instagram and build the loyalty of your customers, who increasingly rely on online reviews for their purchase decisions. The ultimate goal is to make your customers loyal, or at least attract them and drive engagement on your Instagram page. The Smiirl counter requires very little equipment. All you need is a mains power outlet so that it can be switched on permanently while in use, to interface it with your Instagram page. First of all, you must plug in your Smiirl counter and switch it on. Then, all you have to do is sign in to my.smiirl.com and follow the instructions to activate your Instagram like counter in no time. The Instagram like counter is now in use worldwide. 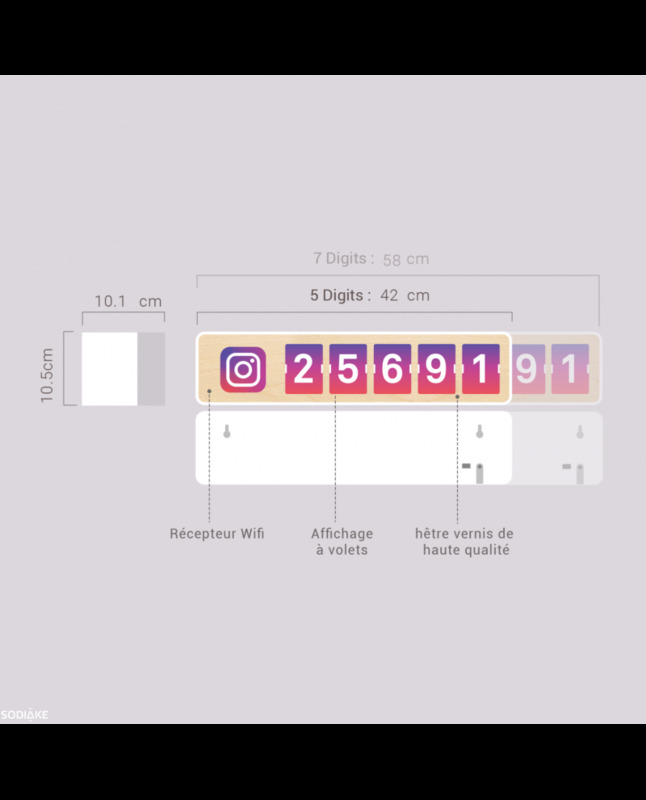 The Instagram like counter is primarily used in Europe, the USA and in Japan, three key areas. Company managers and Community Managers use this tool aimed to generate engagement on your Instagram page, contents that apply to you and help you to improve customer satisfaction on a daily basis. Furthermore, because it is a work tool, the Instagram like counter can be set up anywhere, better than an accessory. Its modern and elegant design even makes it a decorative item. As stated previously, the Instagram like counter has gained worldwide coverage and your Smiirl counter can be shipped to you within 24 hours. This is an essential tool for your business, to expand your Instagram fanbase and reach. What's more, the Instagram like counter is backed up by warranty covering any technical issues and incidents, and has a customer service that will address any issues regarding the product.